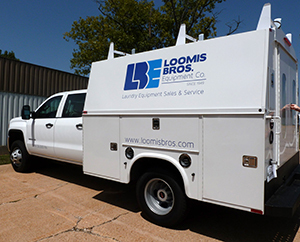 Established in 1949, Loomis Bros. Equipment Co. is a full service distributor of commercial laundry and dry cleaning equipment. Our corporate headquarters are located near St. Louis in Fenton, Missouri. We do much more than just sell equipment. We provide a complete structure of support for our customers; plant layout and design, turnkey installations, planned maintenance programs, overnight parts delivery, and emergency service by our fleet of factory trained service technicians. Whether you're building a new facility or re-equipping an existing one, our team of experienced professionals can guide you every step of the way. As a third generation family business, we inherited a rich legacy of goodwill. Our hard work and dedication to serving our customers have earned us Congressional Recognition for customer service excellence.